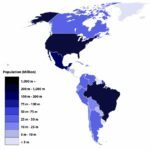 Below you can find a list with all the American countries by population (2019). Saint Vincent and the Grenadines ≈ 110,000. Antigua and Barbuda ≈ 104,000. Saint Kitts and Nevis ≈ 56,000. 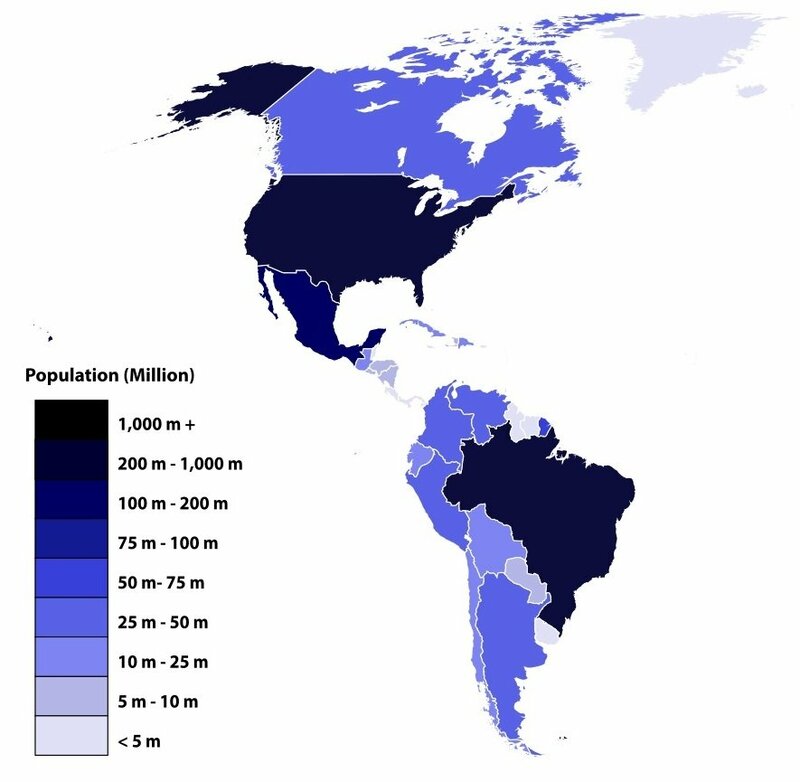 Map with all the American countries by population. Source [HERE]. Ali Zifan – Wikimedia Commons (2015). Countries and Dependencies by Population in 2014. Avaliable [HERE].